The market is segmented by Product Type (Engine Oil, Transmission and Hydraulic Fluid, Metalworking Fluid, General Industrial Oil, Gear Oil, Grease, Process Oil), End-user Industry (Power Generation, Automotive and Transportation, Heavy Equipment, Food and Beverage, Metallurgy and Metalworking, Chemical Manufacturing, and Other End-user Industries), and Geography (Asia-Pacific, North America, Europe, South America, and Middle East & Africa). 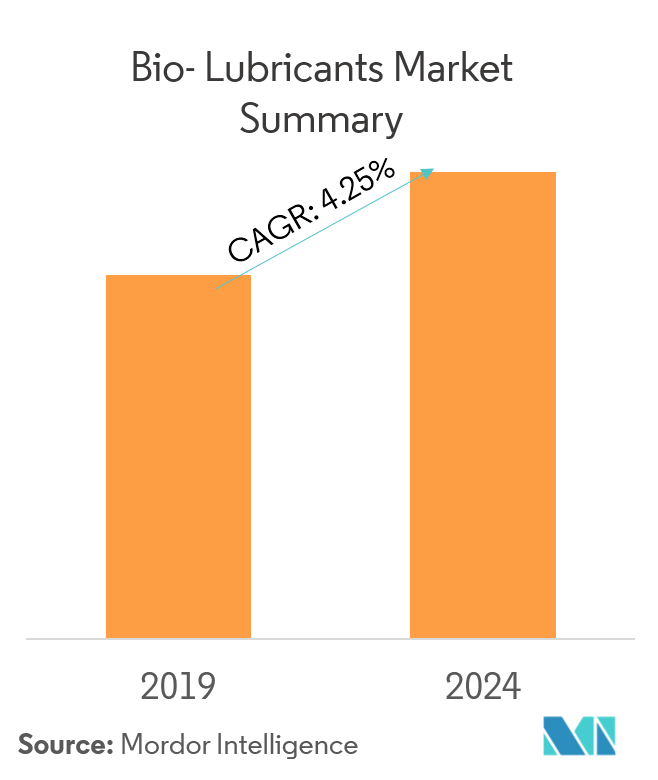 The market for bio-lubricants is anticipated to register a CAGR of 4.25%, during the forecast period (2019-2024). Bio-based lubricants are eco-friendly, and do not have any toxic effect on the ecosystem. Bio-based lubricants do not cause skin inflammation, which is generally caused by petroleum-based lubricants. Additionally, they have various advantages, such as reduction in energy usage, reduction in labor cost, increased employee safety, improved environmental conditions, increased machine life, and increased production, thereby augmenting the growth of the market. Bio-lubricants are produced by esterification of a fatty acid or trans-esterification of vegetable oil. This process is being held with a long-chain alcohol in the presence of a homogeneous acid/base catalyst 8 -10, or by using an ion-exchange resin. This process increases the cost of bio-based lubricants, which is likely to hinder the market growth. Power generation is one of the most important sectors for the global economy, without which, almost all manufacturing operations may come to an end. Advancements in manufacturing technologies are resulting in the commencement of various new plants, which, in turn, are increasing the demand for electricity in various end-user industries. Turbines play a key role in the energy sector for generating electricity. Irrespective of the source of electricity, i.e., wind, solar, hydro, thermal, etc., turbines are widely used for power generation. In general, other than turbines, the major components in the power generation sector include pumps, bearings, fans, compressors, gears, and hydraulic systems. Wind turbines are subjected to many factors, such as humidity, high pressure, high loads, vibrations, and temperature. Gear and turbine oils are widely used in this sector for lubrication purposes. Many companies are already well aware that reducing the total cost of ownership (TCO) over the lifetime of machinery is the key to extracting the best possible value from the investment. However, the impact of lubrication on TCO is too often underestimated. In general, the cost of lubricants accounts for less than 5% of a power generation company’s total operational expenditure. According to an international industry study, commissioned by Shell Lubricants, the savings opportunity is recognized, but undervalued. About 58% of the companies recognized that lubricant selection can help reduce costs by 5% or more. However, fewer than one in 10 (8%) realized that the impact of lubrication could be up to six times greater. All the aforementioned factors are expected to drive the global market, during the forecast period. 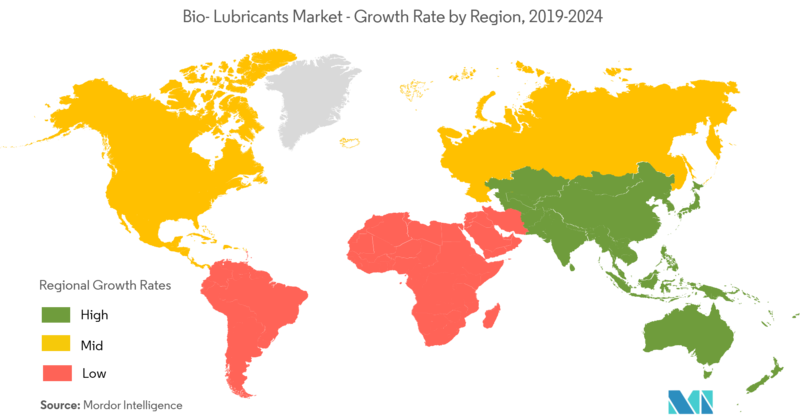 In Asia-Pacific, China is third-largest bio-lubricant consumer in the APAC region, with an economic growth of 6.9%, in 2017. With growing middle class, along with urbanization of Western China, there has been an increase in the demand and production of vehicles in the country. Additionally, the country’s focus to gradually shift toward electric vehicles is expected to hinder the country’s demand for bio-lubricants, such as engine oil, gear oil, etc. 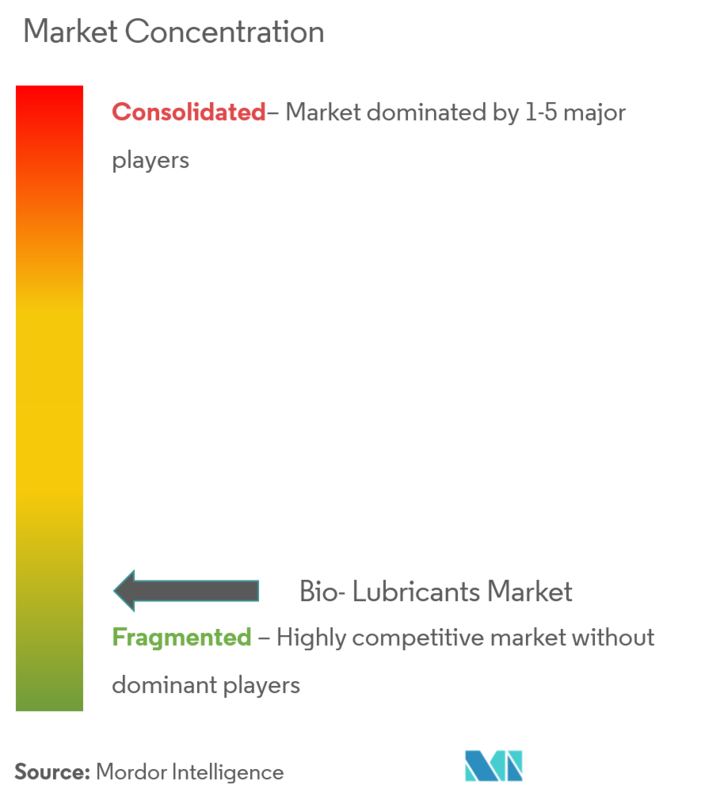 The bio-lubricant market is fragmented in nature, with numerous players dominating the global and regional market. 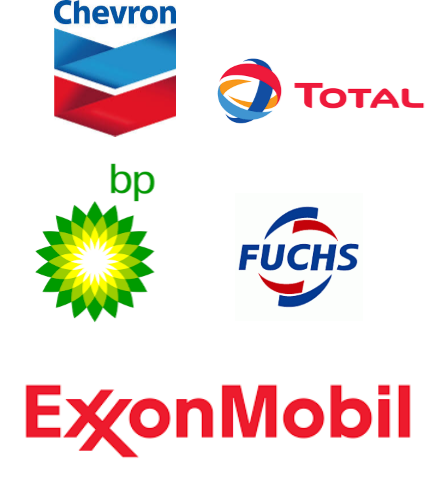 Key players in the bio-lubricants market include BP PLC, Chevron Corp., ExxonMobil, Repsol, Royal Dutch Shell PLC, Total, FUCHS, among others.